Three Illinois Bicycle Fatalities this week; Two were Hit-and-Runs. The Chicago Tribune reported that a man was struck and killed in Waukegan early Tuesday morning. Jack Henderson was riding his bicycle near the intersection of Washington Street and Martin Avenue when he was struck by a green sedan driven by an unknown driver wearing a red shirt or jacket. Nearby video camera caught the suspected hit-and-run driver as the driver fled eastbound on Washington Street. On Monday a cyclist was killed in Alexander County. The bicyclist was struck by the mirror of a Buick when the vehicle passed the bicyclist. As a result of being struck by the mirror the bicyclist lost control and was struck and killed by another vehicle. The driver of the Buick was cited for, “improper overtaking of a bicycle.” I suspect this means the driver was cited for violating the Illinois three foot passing law. Finally, we posted earlier this week about the death of Jose Gomez, who was allegedly struck and killed by Daniel Wehr in Des Plaines, Illinois. Wehr was driving a SUV and was working for United Airlines at the time of the collision. He was identified because his license plate fell off and remained at the scene after Wehr fled. Special Considerations for Collisions with Ride Share Drivers. At the scene of a bicycle/car collision the driver tendered police his personal auto insurance card. We opened a claim under the driver’s insurance only to have the claim denied because the driver was, unbeknownst to us, working as an Uber driver. At the time of the collision the driver was transporting a fare for the ride share service Uber. We represent a bicyclist in what we believe to be the first bicycle/ride-share collision in the area. This case has presented a number of issues with respect to insurance coverage. One might think that it would be easy to make a claim under Uber’s insurance policy, but that is not so. Take a look at Uber’s website and see if you can find where it lists their insurance underwriter. If you can’t find the insurance information on the web site, then you’ll just have to contact Uber. Think that’s going to be easy? Where on the website is the contact information for Uber? Neither the insurance nor contact information is listed on Uber’s website. In fact, my research suggests that there is no contact phone number for Uber. The only way to contact Uber is through e-mail. This makes for a virtual wall around the company for anyone trying to make a claim. Despite their best efforts to insulate themselves from our reach we were able to determine their insurance carrier and open a claim, but this wouldn’t be easy to accomplish without an in-house investigator. We also found Uber less than forthcoming with respect to other information such as the identity of the fare, who would be an eye-witness to the occurrence. Uber has flatly refused to give any information regarding the identity of the fare, forcing us to file suit and seek a court order requiring them to produce the identity of the fare. If you are involved in an accident with a ride share driver you should expect your insurance claim process to be complicated. Make sure you get the information of any fare the Uber driver may be transporting at the time. If you’re a bicyclist and you’re doored by the passenger, this is even more important because Uber’s insurance may try to deny the case claiming that the collision was the result of the passenger and not the Uber driver. If you’re involved in a collision with an Uber driver it is best to get advice from someone who knows how to negotiate the insurance carriers involved in your loss. Get help. You’re going to need it. CBS is reporting that a bicyclist was killed in Des Plaines last night by a hit-and-run driver. Apparently, the driver was a United Airlines employee driving a company SUV. At approximately 9:40pm the SUV, allegedly driven by United Airlines worker Daniel Wehr struck a bicyclist, 25 year old Jose Gomez of Des Plaines. The collision occurred on Algonquin Road just West of Mount Prospect Road. Wehr is alleged to have fled the scene. When he was taken into custody at the United Airlines facility approximately six hours after the accident, he reportedly told police he didn't see Gomez until after the collision had occurred. One aspect of this hit-and-run that is common is the fact that the driver left his plate at the scene. This actually happens a lot in hit-and-run collisions. We have handled at least a half a dozen hit-and-run collisions in which the driver fled the scene leaving his license plate behind. License plate frames tend to break when a car strikes another object causing the license plate to fall off. This has been instrumental in a number of cases to locate and identify the driver. We once had a driver claim the plate was stolen before the hit-and-tun collision occurred, but through investigation we determined that the driver had reported the plate stolen three days after the collision and had purchased a replacement plate the same day. Bicycling Illinois Attorney Left With Serious Injuries After Driver Uses his "Car As A Weapon"
A Bloomington attorney was seriously injured by a driver who allegedly became upset by the presence of a group of bicyclists riding on a rural road in McLean County, according to Pantagraph.com. 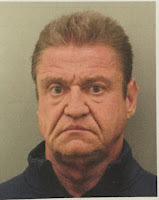 The injured cyclist, Dean Davis, suffered a "serious back injury" when 61 year old Randy Crump, a retired school superintendent, allegedly used "his car as a weapon" to force him off the road, according to one witness. The incident occurred on July 7th as Mr. Crump tried to pass the group which was participating in an organized ride. Witnesses say he passed the group of 10 cyclists then slammed on his brakes. Mr. Crump was charged with reckless driving and "reckless conduct," and for following a cyclist too closely, according to the Paragraph.com. This sad incident brings to mind a case from a few years ago in which a California doctor was sentenced to five years in prison for attacking two cyclists with his vehicle. Angry that the men where riding in front of him, the driver, Christopher Thompson, pulled in front of them before slamming on his brakes. His conduct caused the bicyclists to sustain serious injuries. 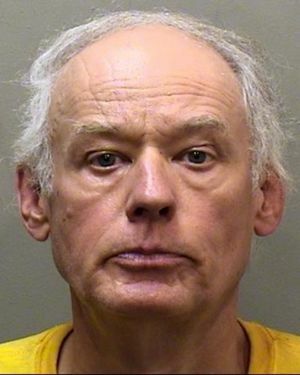 The McLean County state's attorney is said to be investigating last week's incident. Hopefully, this matter will be treated with the seriousness it deserves. Friday afternoon I first saw a video of a driver viciously attacking a cyclist during the morning commute that day. The driver can be seen in a video running and punching a cyclist. As with many cell phone videos, this one doesn’t tell the whole story. The incident began at approximately 7:50 am Friday morning when the green Mercedes pictured in the video pulled up behind two bicyclists in a bike lane on westbound Lawrence at Oakley. Traffic was backed up on Lawrence and the Mercedes was attempting to pass traffic on the right. The light at Oakley was red, so the bicyclists and adjacent line of cars were all waiting for the light to turn green. The Mercedes pulled up behind the cyclists, pushed one into the curb and almost drove over the second cyclist in an apparent attempt to force both cyclists out of the way. As you might imagine, the cyclists yelled at the driver. The driver then accelerated quickly and blew through the red light, striking a cyclist in the process. One of the cyclists followed the driver and attempted to get him to stop. The altercation in the video ensued. It is my experience that Chicago Police Department doesn’t take bicyclist harassment or assault seriously. Although we have handled cases in which CPD pursued a hit and run driver or a harassing driver, most of the time these actions go unpunished. We will follow up on this story to find out if CPD actually charges the driver. I’d expect that there were some injuries sustained in this incident, but often cyclists are harassed but not physically injured. In such an instance it is my experience that the CPD often does nothing to hold the offending driver responsible. If CPD doesn’t do anything and no one is injured the victim often has trouble finding a way of holding an offender responsible for their actions, partly because the Illinois Anti-Harassment statute has no provision for civil penalties. Los Angeles and a few other places have anti-harassment statutes that provide for civil penalties, allowing cyclists to take violators to court themselves rather than relying on police. The key to such a law is to include a provision to provide for attorney fees taxed to the defendant driver if the cyclist wins at trial. Such a provision would allow attorneys to take smaller cases or cases with no physical injury. As the law currently stands in Illinois a cyclist can pursue a driver for an assault or battery, but their recovery for compensatory damages is tied to the amount of medical bills or the value of their damaged bicycle. Further, a cyclist suing for a civil battery or assault must bear the costs associated with suing the driver. If there isn’t an injury or medical treatment the cyclist will have a very difficult time finding a lawyer to take the case because the lawyer will be unable to take a fee that would justify the time to prepare and try a civil case. Hopefully we’ll have good news to report regarding the offender from Friday. If not, it will be another story about a driver who got away with assaulting and harassing cyclists without being held responsible. Ideally the legislators in Illinois would consider adopting a law similar to that of LA and other places. If that happens cyclists will be able to hold road-ragers and harassing drivers responsible for their actions. Jim Freeman and I partnered to form Freeman Kevenides Law Firm just over two years ago. 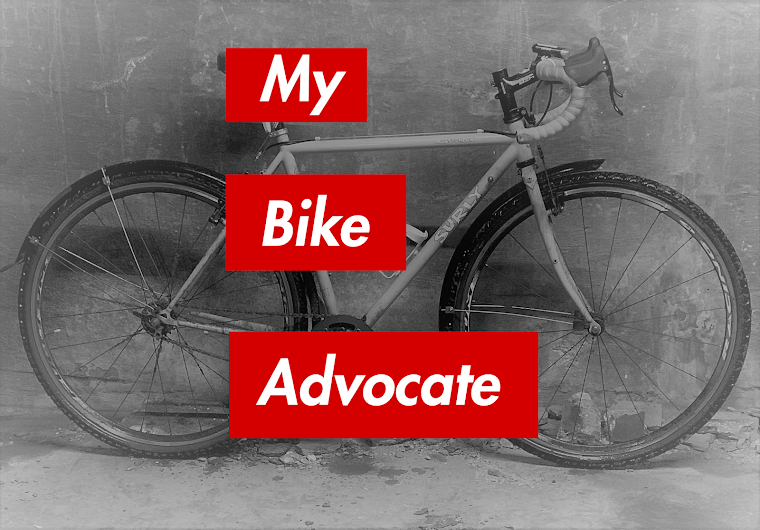 The goal was and is to focus exclusively on representing bicyclists and vulnerable road users. Some thought we were crazy. But as this morning's article in Crain's Chicago focusing on how Jim got his start demonstrates, we are pretty comfortable marching to our own beat. Click here to read the article in Crain's.